A PREVIEWS Exclusive! Captain of the starship Rack ‘n’ Ruin, Rocket is the Guardian of the planet Halfworld in the Keystone Quadrant, and the member of the team chosen to accompany Star-Lord on his mission to stop the Phalanx infiltration of the Kree homeworld! Based on his appearance in the Guardians of the Galaxy series by Dan Abnett and Andy Lanning, this exclusive POP! 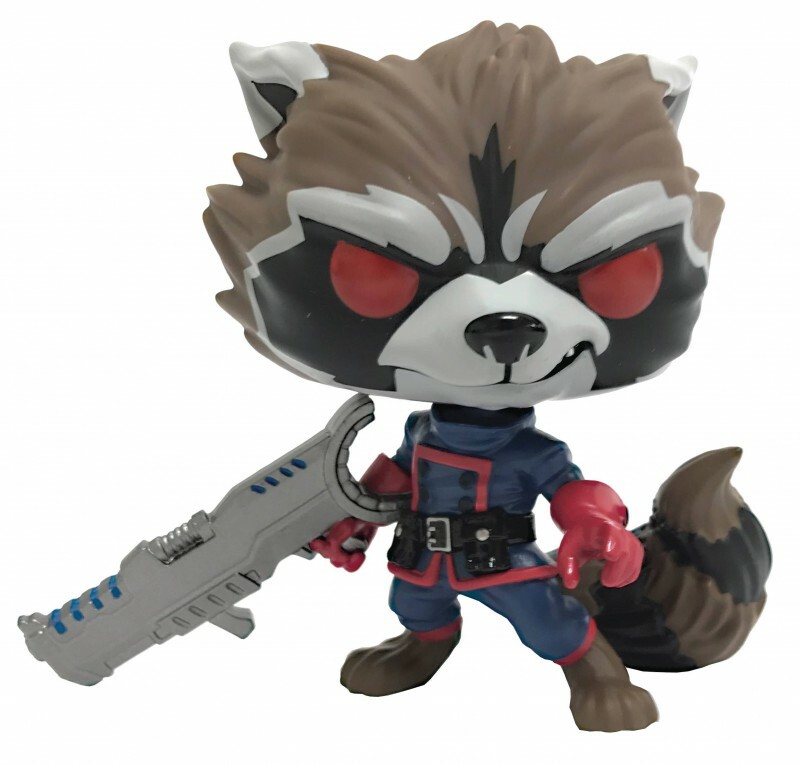 figure features Rocket Raccoon with his signature blaster. Standing 3 3/4” tall, the classic Guardian sports Funko’s fan-favorite stylized design.